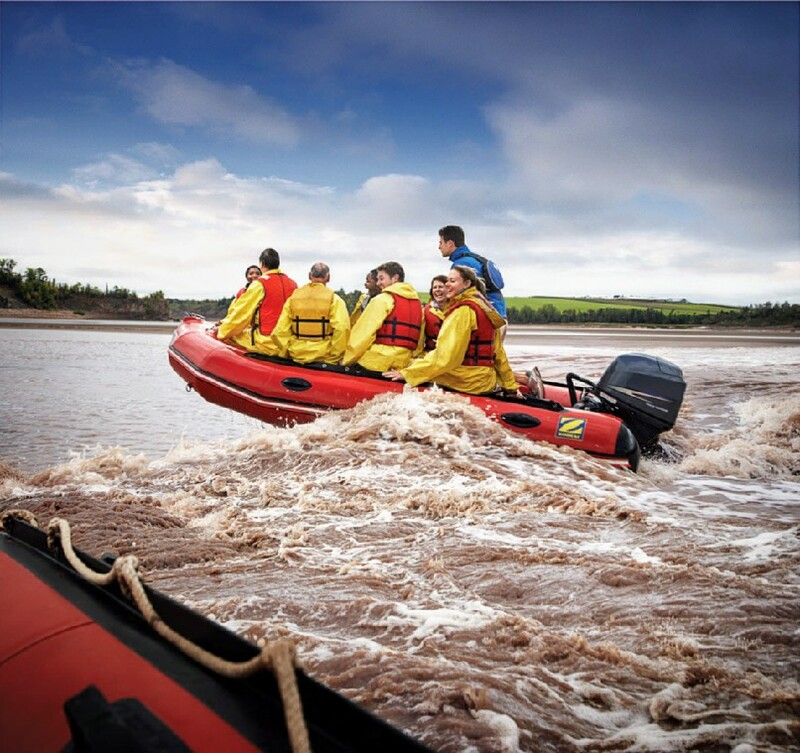 Ride the tides of the Bay of Fundy on this epic 4hr tour. The tour will start on the lazy outgoing tide, and we will make out way out to the mouth of the river. 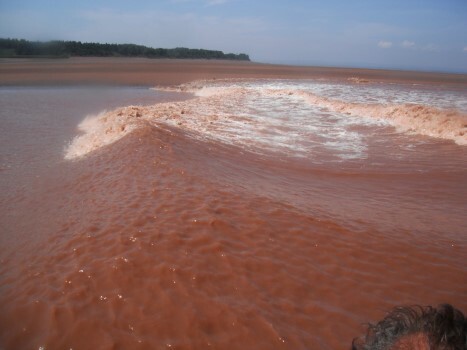 There we will get to stretch our legs on a 200 acre sand bar until the Tidal Bore arrives. 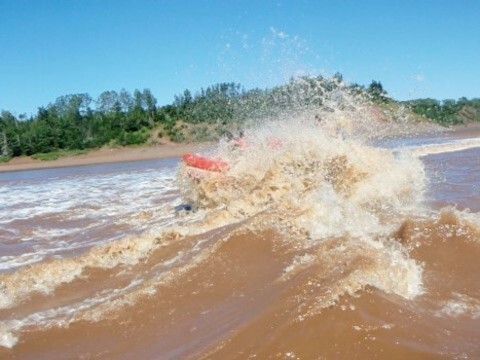 Then we will catch the Tidal Bore and start riding the rapids inland for approximately 20km of non-stop roller coaster rapids. 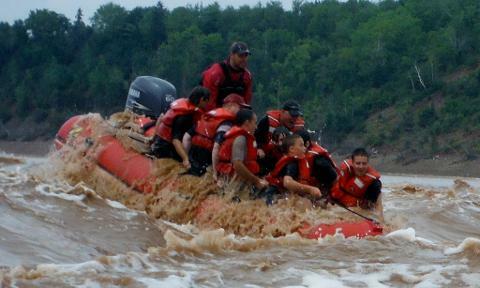 We will experience rapids ranging in size from 3-14ft.